I recently wrote a post outlining how EPS coverage and private healthcare in Colombia works, but I thought I’d save my anecdotes for a separate post. 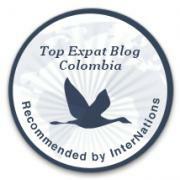 My overall opinion is that Colombia has good healthcare options for those who can afford it. But as the culture around healthcare can vary from country to country, I thought it might be helpful to relate some of my experiences with Compensar (my EPS – healthcare provider), the most recent being when I went to see a doctor about a painful wrist. My left wrist has been painful on-and-off for a couple of years now, and I wanted to find out why. In the back of my mind, I was aware that arthritis ran in my family, and I wondered if I might be developing symptoms. However, I have also spent many years of my life sitting at a computer typing, so I also suspected it might be a repetitive strain injury. The general doctor I saw first sent me for a test for rheumatic fever, which can cause joint pains – but this is very rare in people from developed Western nations. The test was negative. He had also prescribed a steroid injection and strong painkillers, but following a previous traumatic experience in Colombia involving a needle in my rear end, I told him I felt this was unnecessary. I saw an orthopedic specialist, who said that the pain in my wrist was probably tendinitis, caused by repetitive activity such as typing. However, to rule out anything more serious, he sent me for blood tests, an MRI scan, physiotherapy, and various x-rays of my other joints too, and he referred me to a specialist of internal medicine. For weeks, I had to rearrange my routine around all of these tests, scans and appointments, just for a painful wrist. I saw two other specialists who sent me for more blood tests and more scans. It was as if every doctor I saw felt that they had to send me on to someone else, or for another test for some rare illness they hadn’t tested for yet. It felt never-ending. In the end, I felt enough was enough and I put a stop to it all. Every time I had an appointment, scan or test, I had to pay a co-payment dictated by my healthcare plan. It wasn’t much – like 80 US cents each time (apart from the MRI scan which cost around 10 dollars) – but it all added up. I realized that where British doctors operate on the basis of only prescribing or referring when it’s certain or probable that you need it (to save wasting public money), it seemed to me that Colombian doctors wanted to prescribe every conceivable treatment or test to get as much money from patients as possible. This may be how other private healthcare systems operate, but it wasn’t something I was used to, being from the UK, where the National Health Service is state-funded. It made me worry that I might have all kinds of things wrong with me, when really all I had was a repetitive strain injury. I continued with the exercises and stretches she gave me to do during the rest of the session, but was still worried about my apparently burned arm. She continued to reassure me that this was normal, and didn’t advise me to run cold water over it or see a doctor. After the session, I went to the bathroom and took a photo of my arm and sent it to two of my friends who are doctors in the UK. One of them responded with (I quote): “What the actual f***? ?” and said I should run it under cold water for 10-15 minutes immediately. A few hours later, the redness had almost disappeared and it wasn’t sore at all. I went to see a doctor, just to be on the safe side, and he said that it wasn’t actually a burn. If it were, it would still be visibly red and sore now. It had in fact been an allergic reaction to the treatment, though it wasn’t clear exactly what had caused the reaction. What upset me was that the physiotherapist had denied that anything was wrong and didn’t give me any advice or send me to see a doctor. The doctor I saw said that if the treatment had continued for longer than five minutes, it could have resulted in a real burn. I didn’t go back for any more physiotherapy sessions as I had lost trust in the system. My most traumatic experience in a Colombian clinic left me unable to sit down properly for a couple of weeks, and unable to run for over a month. All because of an unnecessary needle in my backside. This was back in 2013. I had been visiting my boyfriend Javi for a couple of weeks, before I made the big move to Colombia later that year. A couple of days after arriving, I came down with tonsillitis (airplanes are incubators for all kinds of unpleasant illnesses). I went to a general doctor in Bogotá during my stay and he said that I could either take an oral course of antibiotics, and I’d start to feel better in a few days, or I could have a penicillin injection and start feeling better within a few hours. In the UK, they don’t offer antibiotic injections for common illnesses such as tonsillitis, so I’d never heard of this option. As I’d never had a problem with needles and was keen to start feeling better soon, I decided I’d give the injection a try. First I had a test to check that I wasn’t allergic to penicillin. This involved injecting a small amount of penicillin into my arm. This injection was painful enough to make me curse out loud, but still bearable. I wasn’t allergic, so a Colombian nurse took me into a cubicle for my injection. She proceeded to take me gently by both arms and look me in the eye. “Now, you need to prepare yourself psychologically for this injection, because it’s painful.” I started welling up a bit but as I had come this far, I decided I might as well go through with it. It’s no exaggeration to say that my screams could probably be heard on the other side of the clinic, and afterwards I swore that I would have to be dying or comatose before I would get another penicillin injection. For a couple of weeks afterwards I had a bruised behind, and once I was back in London I went to my doctor. When I showed him the prescription for the penicillin injection, he raised his eyebrows and said “In this country, we only give this dose of penicillin to meningitis patients in hospital, and over the course of a week.” Apparently the needle had damaged some of the muscle fibers in my poor buttock, and it would take a few weeks to heal fully. The more painful the remedy, the more effective it is? Colombians accept penicillin injections as a standard treatment for common infections. I also find that for a common cold, doctors will prescribe all kinds of pills, syrups and drops, whereas in the UK, we’d be sent away and told to take paracetamol for a few days. I came to the conclusion that Colombians must believe that the more medications they’re taking, or the more painful the remedy, the more effective it is. I recently had an x-ray of my lower spine and hips, as I had had back pain last year and hip pain on and off since I was a teenager. The “preparation” for this x-ray was that I couldn’t eat anything at all 24 hours prior to the x-ray, and could only drink water, fruit juices and broth. Then, the evening before the x-ray, I had to take a laxative to empty out my intestines, apparently so that my spine wouldn’t be obscured. It was one of the less pleasant experiences of my life. When I related this to my doctor friends in the UK, they found this very strange, and said that this wouldn’t be necessary for this type of x-ray in the UK. Sometimes I suspect that Colombia just has its own way of doing things, and that the processes may be completely arbitrary and unnecessary, but they follow them because that’s just the way things have always been done. It’s frustrating, but you have no choice but to accept this. I think it’s useful to be aware of the culture around healthcare in Colombia, because their approach to treating ailments and injuries may be very different to what you’re accustomed to in your country. That being said, I want to emphasize that these are only my experiences and aren’t necessarily what you should expect from Colombian doctors, nurses or healthcare providers. My reactions to the penicillin injection and electrical therapy described above may have been due to bad luck, inexperienced medical professionals, or a physical hypersensitivity to those kinds of treatments. Most importantly, the doctors I saw were friendly and professional, and I am sure that they were only recommending what they thought would be best for me, and being very thorough about it. The advantage of being so thorough is that, had anything serious actually been wrong with me, they would have picked it up very quickly. But if you ever feel stuck in the middle of a never-ending medical investigations, as in my experience, and you feel there probably isn’t anything seriously wrong, it’s worth asking the doctor whether the suggested treatments/tests are really necessary. What have your experiences been of the healthcare culture in Colombia, and how does this compare with your home country? Please let us know in the comments section below! As a healthcare provider, your overall report was short sided. It was a phenomenological reflection but did not provide breadth, which is important. I’d like to know more about the standards the use, what is available, what treatments are offered and what strong points they have in specific diagnoses. That is a major undertaking. I am solely interested because I am FOR social medicine. In the USA we have created a monster that is going to eventually NOT work, and we are getting there before long. PS – – I am not saying your input was not valid. Far from it, it was good – – -I just wish more could be done. Any ideas if this has been done by WHO? Hi James, thank you for your message. The blog posts on healthcare were intended to be an anecdotal account of my experience of healthcare in Colombia rather than a detailed and accurate report. I am not a healthcare professional so I wouldn’t know how to measure standards of care, though I suppose there must be an international report somewhere by an organisation such as the WHO which would shed light on this. To find out specific treatment options and how Colombia fares with regard to diagnoses would, as you say, be a huge undertaking, which I don’t have the right specialist knowledge or the time to carry out. What I can say is that these things appear to vary from EPS to EPS. I know that due to corruption at Café Salud EPS, they stopped paying clinics across the country, so clinics and hospitals were refusing to treat patients affiliated to Café Salud. A member of my extended Colombian family who had coverage with Café Salud was diagnosed with testicular cancer and his treatment was delayed 6 months because of what I described above, and he died in his late 30s. I don’t know whether he was terminal at the point of diagnosis but I guess this delay had to have had an impact. In another instance, I know someone with “prepagada” coverage (pre-paid private or premium insurance, sometimes paid as a premium to EPS coverage) became ill with Stephens-Johnson syndrone, was in intensive care for a month receiving excellent treatment and being attended to by one of Colombia’s top dermatologists, and he survived. This is all anecdotal because I don’t think I have the specialist knowledge in public health and medicine to produce anything more academic, and I’m also not paid for writing my blog 🙂 This is why I advise getting comprehensive international medical insurance to be confident about your coverage and which might even allow people to be treated in a different country if needed. My experience was very good, and for relatives too – I didn’t know they had generalists only specialists (Cali). My mother in law pays a small fee for 24/7 home attendance with a doctor and medic, who can prescribe drugs and give injections (ideal for bad pain). We have used them ourselves – excellent. It can occur in UK but would require a mortgage in US (we experienced their high cost low service model in Texas). It pays to know someone with a good reputation in Colombia for taxis and other things due to no social security, so its good to be wary. Thanks for your comment Kevin, I’m glad to hear you’ve had a good experience! Which health service provider did you use in Colombia?